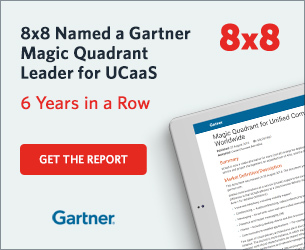 Retailers Parry Status Quo with Modern Communications | 8x8, Inc.
Inertia is a powerful force, and sometimes its a force for good. 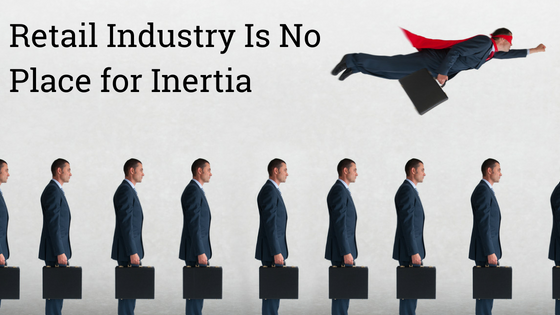 Tradition, trusted institutions, and predictability relies on a degree of inertia that allows them to weather everything from fads to market jitters. But the retail industry is no place for inertia, especially not now. In fact, even moving too slowly has been enough to leave once-mighty brands irrelevant in the eyes of the modern consumer. But, if you’re reading this, you are already aware that change is happening. The key is to ensure you are moving fast enough and focusing on the right areas of your experience. But, how do you know? It’s a difficult, but crucial assessment – are your strategies doing more of the same or are they truly transformational. We see companies across many industries doing more of the same activities instead of taking steps to adapt their business to the modern landscape. Many retailers also fall into this trap. The important point, and it’s implied here, is that many leaders are already reinventing themselves to this degree. If your company doesn’t have, at least, a project or two underway at this level, the consequences could be dire – time is not on your side. Now that you have your inertia fighting gear on, it’s time to figure out how you can truly free your business from the processes, habits, and technologies preventing you from innovating and adapting to customer needs. The most obvious place to look is your communications – something that has probably not changed for a decade and represents a cost greater than the value it adds. If you were starting your business today, would you put a separate email server, phone system, inventory tracking system, and employee management system in each location? Would you install all this hardware, at each site, and only be able to access it physically from that one location? Of course not. Modern technology has evolved and now enables all of these systems to work far better across your business in the Cloud rather than being isolated in a single location. Then why, of all these technologies I mentioned, is your phone system still the one that’s completely disconnected from the rest of your business? Isolation is driving a higher cost for phone service, greater complexity for service and maintenance, and little to no insight into the overall customer journey. If there is one area that can free-up IT resources to invest in the next improvement in customer experience, it’s getting them away from maintaining your outdated onsite phone systems. It’s the start of the journey that eventually leads to the customer experience end game, specifically in three key areas. Now that you aren’t spending as much on each store’s landline service, vendor service contracts, and replacing or maintaining disparate systems, that spend can go toward innovations that help you differentiate and personalize the shopping experience. The degree of savings depends on a number of factors. I’ll stop here as I can already feel myself starting to nod off. Instead of turning this post into a financial dissertation, here’s a more detailed explanation and fun way to get insights into all the potential sources of cost savings – online ROI calculator! The next step in the journey is moving away from the mentality that communications are a utility – that is, a necessary evil rather than a value-added service. Making communications central to your digital transformation ensures you can use the vast amounts of data coming through these systems to drive better business decisions, increase the personalization and productivity of each customer interaction, and even identify emerging trends that have previously gone unnoticed. The ultimate result is the acceleration of revenue growth. Wait? Did I just propose that giving communications more importance in your tech stack will ultimately result in making you more money, faster? Yes! By moving to one system of engagement in the Cloud, you can start with the capabilities that meet the immediate communication needs of your business and then quickly add new capabilities as the company is ready. Also, simple things like adding or removing users are extremely quick and easy. Even historically complex changes like adding more communications channels are easy. Using this approach means avoiding the traditional cycle of rip and replace every few years while also making your company more flexible and agile. All of these benefits are ones we have associated with the digital space, and have built whole sectors of technology around them such as CRM, SaaS, and productivity suites. But for all the new digital channels and mobile applications that help us interact, voice communications remains a critical medium, especially in retail. Without a way to measure and adapt that aspect of the customer experience, retailers are ignoring a rather sizable blind spot that stretches across their entire business, from your back office operations all the way out to your network of stores. At a time when customer experience and relevance are critical to retail success, don’t let inertia dictate your future. Moving your communications to a single cloud platform provides a win for costs savings, a win for customer experience, and a win for flexibility to make real change in your business.